Space might be the final frontier for humanity, but it is a pretty common environment for virtual reality. You might recall a few years back that a beleaguered space exploration game, fueled by crowdfunding-hype (no, we’re not talking about Star Citizen). Debuted to less-than-stellar reviews. That title, No Man’s Sky, has since improved upon its initial outing with subsequent updates that have not only expanded the core gameplay but also improved the way it runs as well as expanding gameplay options. And a recent addition might just be enough to get VR fanatics to pick up a copy of No Man’s Sky: Developer Hello Games added a virtual reality mode to the game to allow players to explore NMS’s acid neon-drenched landscapes in full, immersive 3D. Discussed during Sony’s PlayStation State of Play update, the No Man’s Sky addition could expand the audience for a game that is starting to gather a bit of dust as it ages. Sure, those gamers that love the game have stuck around since the beginning, but we have to face the fact that it was definitely hampered by missed expectations when it first came out. Perhaps VR could be just the thing to get No Man’s Sky back on the radar. At least, that is probably what is hoped. Like we said earlier, there isn’t a lack of space-based VR games, but No Man’s Sky does have something that many of them lack. That is a sense of depth and exploration that can only come from a mainline title. All of this is part of Hello Games “No Man’s Sky Beyond” project of bringing major updates to the game – free of charge. A lot of these changes have had a massively positive impact on No Man’s Sky, too. Though it was initially forced to weather a rough release, it has since gone on to become a pretty solid game in nearly every respect. People who derided it at launch have since changed their tunes considerably. A timeline for the VR update’s release has it pegged for sometime this summer. It will be coming to Steam and PSVR. 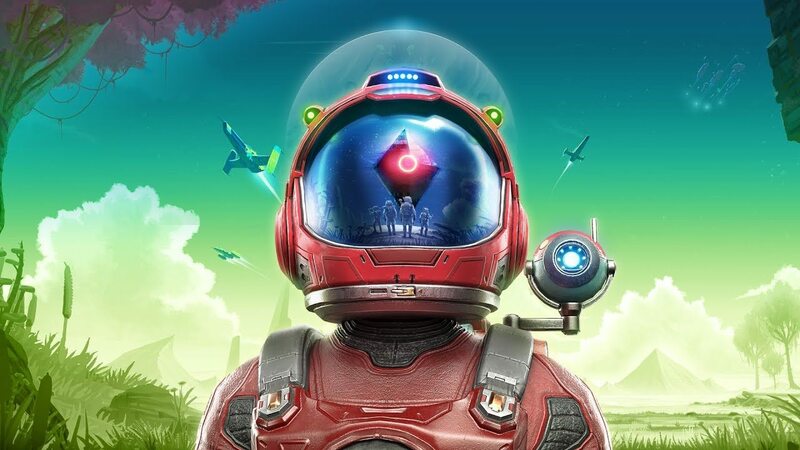 Hello Games’ Sean Murray described the update’s implementation in organic terms, stating that the VR mode will be a mere enhancement of the first-person view, not an entirely separate game. As we said, all of the updates will be free and No Man’s Sky is currently available if you’d like to give it a try in the traditional format. Kehl Bayern Kehl Bayern has over a decade of experience in online media and publishing. He is the author of science fiction thriller Animus Proxy. He is based in Boston, Massachusetts and studied politics at the University of Virginia and, later, Harvard University for graduate school. He spends much of his time traveling up and down the east coast of the United States. You can follow him on Instagram, Twitter, and Facebook.